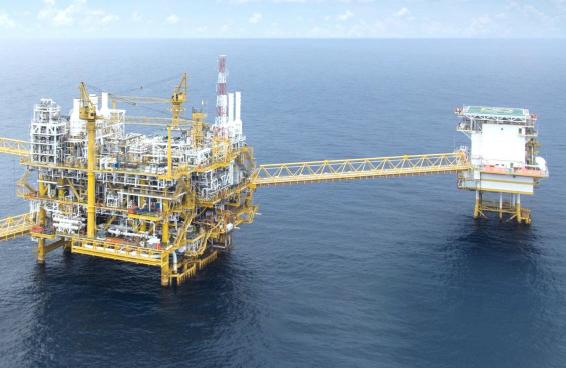 Mexico City: Three workers are missing after the disastrous fire on Pemex’s Abkatun Permanente platform in the Gulf of Mexico, the company revealed on Friday. Wednesday’s blaze killed four workers and seriously injured two others, requiring the evacuation of around 300 people. The Mexican state oil company, properly called Petroleos Mexicanos, became aware of the missing workers after doing a new headcount. One of the missing people is a Pemex staffer, the other two work for contractor Cotemar. The Abkatun Permanente is a shallow water oil-processing platform offshore from Ciudad del Carmen in the state of Campeche. Survivors said the blaze engulfed the platform, forcing people to leap into the sea or flee in evacuation boats. The fire was extinguished after hours of efforts by ten firefighting emergency vessels. Before the bad news about the missing personnel, Pemex had announced that deliveries would not be affected by the disaster as the company would redirect crude output at rigs to other processing facilities. And it had declared that there was no serious pollution spillage resulting from the incident.